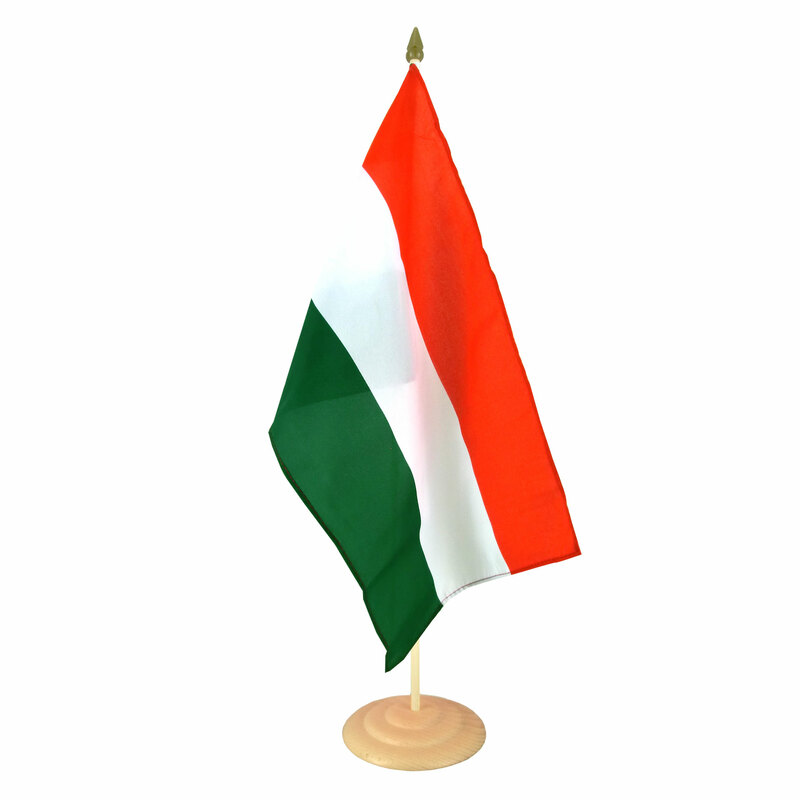 Our Hungary table flags in size 12x18" are made from lightweight polyester flag fabric. The edges are double hemmed and single stitched. 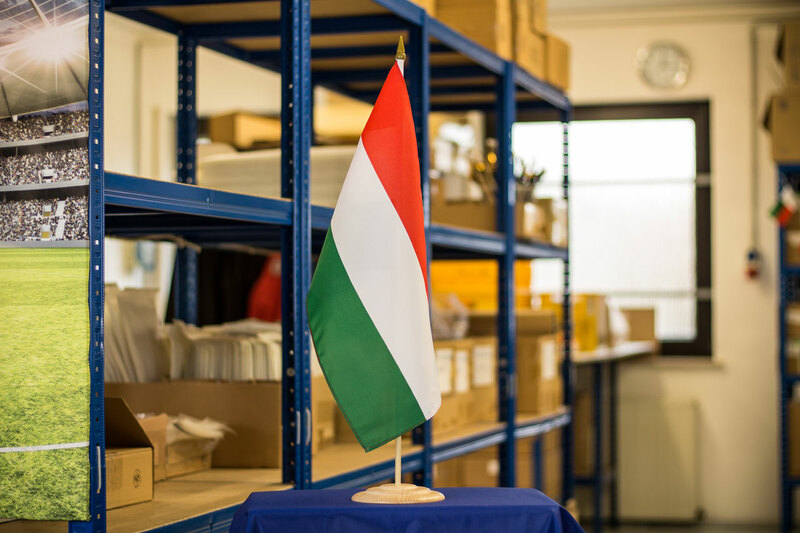 A pole and a base made from beech wood are included in the delivery of the hungarian, magyar table flag. 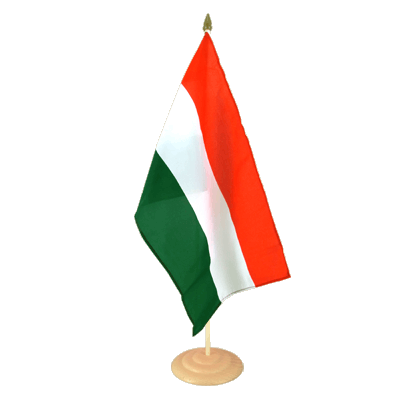 Here you can find all sizes and designs of our Hungary flags for sale. Hungary - Table Flag 4x6"
Hungary - Satin Table Flag 6x9"